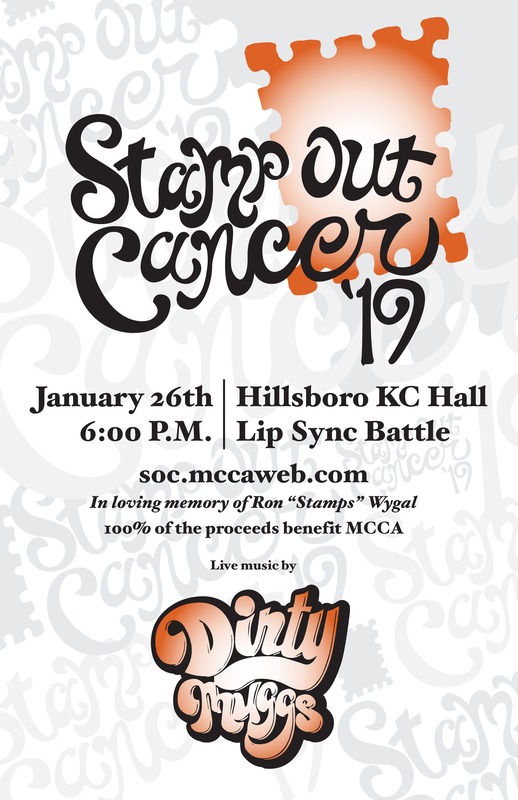 The areas biggest fundraiser is back for its 9th anniversary with another round of Celebrity Lip Sync Battles! The event will also once again feature a silent auction, photo booth, live music, and much much more! Performing this year . . . . .Dirty Muggs! 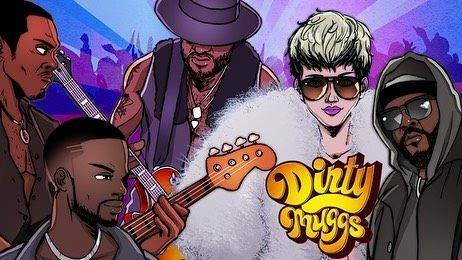 DIRTY MUGGS is St. Louis’ high energy choreographic machine and the creative act formed by a talented group of entertainers who have World Class and Hall of Fame experience. Lead guitarist and band founder, Dee Dee “Muggs” James has played world tours with George Clinton’s Parliament-Funkadelics with Bootsy Collins, as well as, Color Me Bad and Paula Abdul. Bass guitarist “Boni” Hinton enjoyed a successful run with the world famous group Outkast and Goodie Mob. He returned from Europe to join his childhood friend Dee Dee’s new musical venture. Drummer “Dirty Lynt” who got his start from the band “The Son of Starchild” is established as one of St. Louis’ premier hip-hop, funk, House, R&B/Pop, Soul drummers. Keyboardist, Kalvin Dobbins has played for local and national groups such as Masters Touch and The Temptations. Justin Clay is the talented silky smooth lead vocalist of the Dirty Muggs. The junior of the group, Justin started his singing career at the early age of 10 as a part of the popular local TV show group, Team 11. Recording artist Cassandra Llea has recently completed a world tour and is currently the “resident female vocalist” of the Dirty Muggs. The band enjoys playing St. Louis & the Midwest’s Top nightclubs, Festivals, Corporate Parties, & Charity events including Nelly’s Black & White Ball. The Dirty Muggs were named St. Louis Magazine’s A-List Party Band and StL Post Dispatch GO Magazine’s Best Cover Band of 2014. 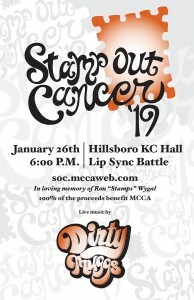 Stamp Out Cancer started in 2011 and has raised over $400,000 for the Montgomery County Cancer Association. The SOC committee is Renee Laughlin, Dana Holshouser, Stacie Wygal, Jeremy Schmidt, Lesley Pollard, Kelsey Flack, Cory Evans, Heather Greenwood, and Zach Wygal.